This is the third L’Oréal lip paint I have added to my collection. I already have Babe-In and Darling Pink, you can read my review here. When I saw that Cheryl was bringing out three lip kits I knew I have to get one! There are three shades in the collection, Peach, Greige and my favourite Burgundy. As I am starting to bring out my autumnal makeup I knew that burgundy would be perfect, it’s more brown that red but it’s nice to have a change. 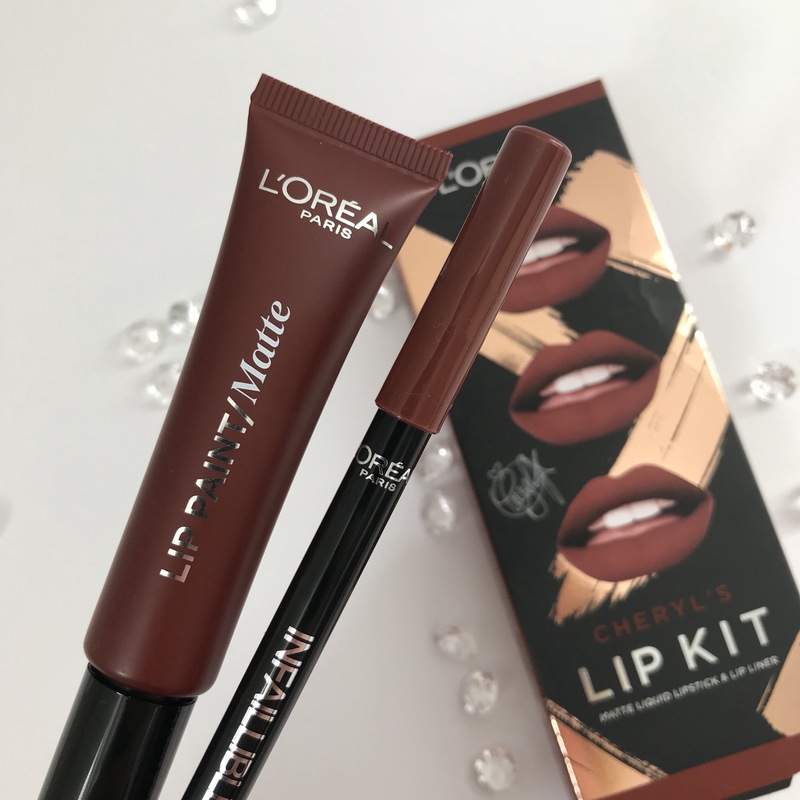 The lip kit comes with the lip paint and lip liner both in the shade Stripped Brown. 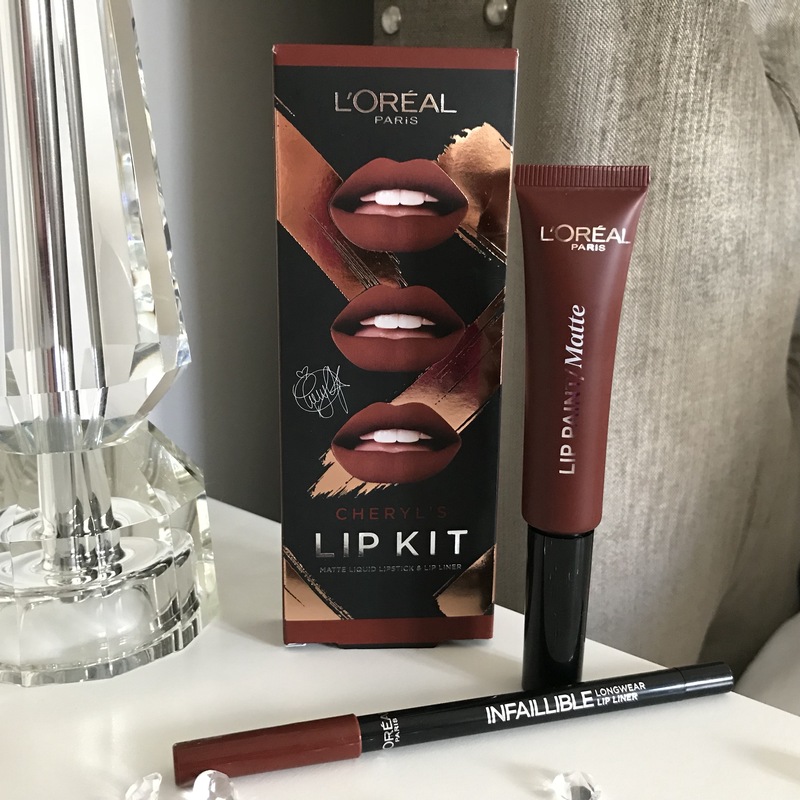 The L’Oréal infallible lip liners are so creamy and easy to use, I own about three lip liners so I’m definitely not an expert but I like trying out new things and it works well with the matching lip paint. As I mentioned in my previous post about the lip paints, I LOVE them. They have a perfectly shaped applicator, it’s so creamy and glides on to your lips. I do find they take a while to dry but once it has dried matte it won’t be going anywhere. 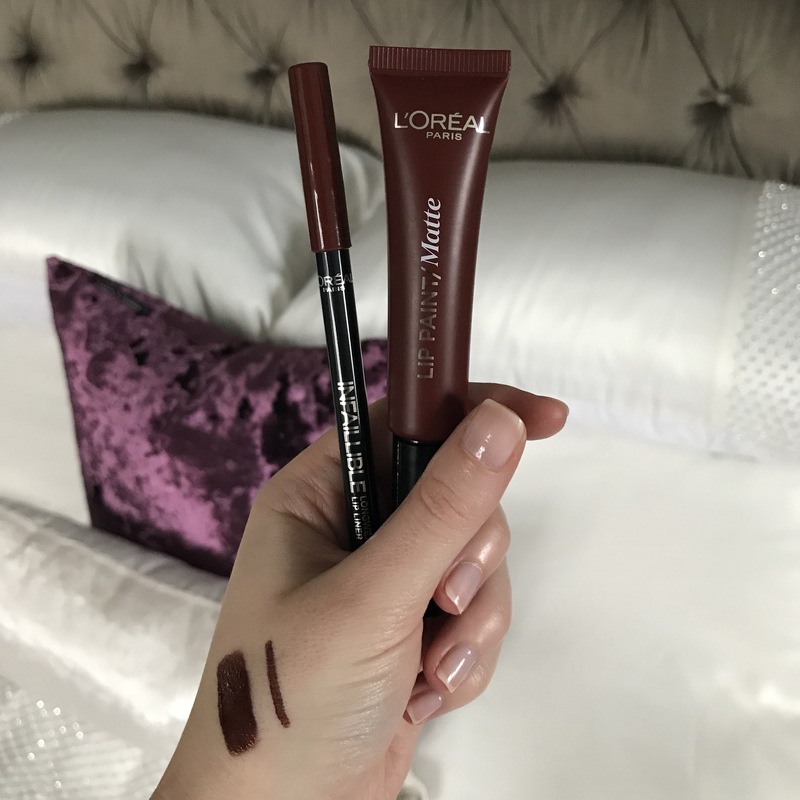 You can see my swatches of the lip paint and lip liner below, it is quite dark for me but I am so excited to wear it with a thick cream jumper and browny eye shadows. The lip kits are £9.99 each and are available for a limited time in Boots. Let me know if you already have one or if you want to get one! This colour is lovely! I’ve never tried any lip kits! I have such dry lips I’m so worried they won’t look good on me! Great post & gorgeous photos! Oooo lawd, this looks gorgeous! I wonder if we have kits like this in the states?? Aaaah I’m really trying to like this lip-kit but I find the liner is far too dark for the lipstick. Did you apply the liner all over the lips first or just round the edges?